Kingswood Capital Management, an operationally-focused lower-middle market private equity firm, has acquired WAVE Electronics. Kingswood will merge WAVE with its portfolio company, AVAD. In bringing together WAVE and AVAD, Kingswood says it will create the single largest value-added distributor of high-end audio, video, security, and home automation solutions in the consumer electronics industry. The new company will be focused on the residential and commercial custom installation markets in North America. According to Kingswood, the combination of WAVE and AVAD will deliver a far-reaching benchmark solution to elevate same-day product needs, national one-day shipping, and award-winning services for dealers and vendors across the United States and Canada. The new company will be headquartered in Houston, TX, with an initial objective to combine the residential AV, pro AV, and security brands across all of its North American locations. The new company plans to integrate its award-winning dealer services, including tech support, programming services, marketing services, and dealer programs. Tom Jacoby, who had been serving as AVAD’s chief executive officer and who will become chairman of the combined company, added, “Fred Farrar and I have spent the last two years at AVAD positioning the company for exactly this kind of market expansion opportunity. 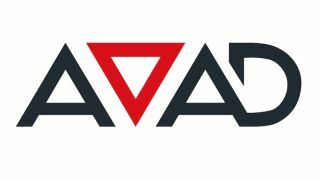 We are very grateful to the AVAD team, which has worked diligently over the past couple years to position the company for profitable growth following the carve-out from Ingram Micro in 2016. The WAVE leadership team has built great operating systems and developed transformational segment opportunities that make it natural for Mark Fukuda to assume leadership of the combined business."